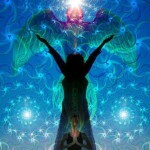 This training is an exploration into our energetic evolution. I’ll be sharing the tools, techniques and practices I’ve developed during 27 years of working with clients and groups, and I welcome all of your experience, talents, skills, gifts and creativity to be part of this process. Our talents and gifts are blossoming. My vision for this process is that it empowers us to own, embody and share our unique talents and gifts as we become conscious participants in the evolution of Humanity and Mother Earth.